In honor of St. Patrick's Day, I'll be discussing some of my favorite books with Celtic themes or by Irish authors. Get your Irish on, reading style! ...Or drink or whatever. Black borrows heavily from Irish folklore, but her approach to the fairy store is cheeky and new. She doesn't just give us a town where the residents are aware of the fay folk. She gives us a town where the residents' awareness of the fay is blase, almost commonplace. Where it's shocking if someone goes around without wearing charms and protections; where the biggest gossip is who bargained poorly at the wishing tree. Because magic isn't superstition or even secret, it allows for a much different tact than your usual fairy story. She blends the two worlds so seamlessly that the fay all at once seem both mystical and mundane. Woven throughout are some iconic seelie folk, from the selkies and phookas to the underhill king and his faerie court, to changelings and tricksters with fools' bargains. It's a lovely tribute that stays true to the classics but envisions them in a new way. Did you know that Wilde was Irish? It's true. Despite his many fanciful farces of the English aristocracy, he was born in Dublin. His full name is a better clue: Oscar Fingal O'Flahertie Wills Wilde. This book is arguably his masterpiece. Except, without the "arguably," because there's no contest. 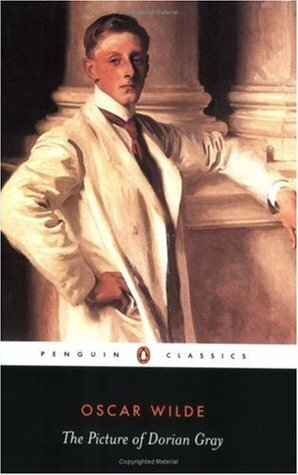 In this book, Wilde applies his artistic prose to the decadence and immorality of the English upper class. The story you've probably heard: boy sells his soul for eternal beauty. His painting ages instead of him. What you may not know are all the other layers: murders, illicit romances, and the gradual descent of Dorian into existential terror and insanity. His world is a lovely reinterpretation of Celtic folklore, and it's supported by a general atmosphere of magicalness and the constant possibility of strange happenings. Tripp's fay and goblings draw heavily from Celtic lore with funny twists, which the characters themselves note (and are sometimes quite fiercely opposed to). For example, the goblings are very snobbish about humans calling them "goblins." Princess Morgana is an obvious reference to Morgan le Fay, one of the most famous faeries in Celtic lore. And don't forget the trolls! 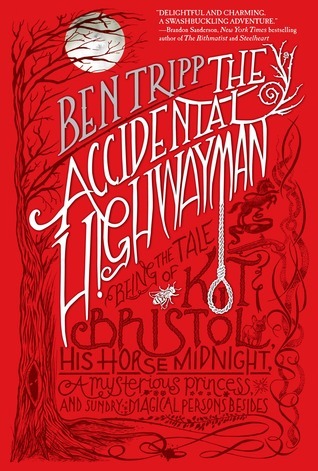 Tripp's command of both folklore and history is impressive, and lends the novel an air of authenticity that made it easy for me to slip into Kit's world. Expect a heavy amount of info dumping (many readers were put off by this), but stick with it and you'll get a whimsical fantasy romp with charming narration and a dash of magic. You may think of King Arthur as the king of England, but much of his lore actually comes out of Welsh and Celtic lore, via Britain, France, and Ireland. So in my mind, he's firmly a Celtic hero, and also my favorite historical personage. (Don't even start with me.) I haven't read this book in a long time, but I remember fondly, and it's stuck in my memory as one of my favorite Arthur stories. With fluid prose and charm, Yolen masterfully navigates Arthur's world with respect for the spirit and atmosphere of the legends, but her own twist. Imagine: where did the legend of the sword come from? What if it wasn't magic, but a calculated political trick? 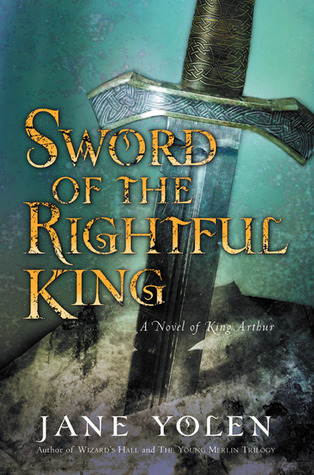 Yolen's refreshing take on Merlin, Arthur, and Morgan is a lovely variation on the myth that stands solidly between the ultra-historical King Arthur (the Clive Owen movie) and the traditional, fanficul The Sword in the Stone by T.H. White. I'll end this list with a two-fer: a Celtic book by an Irish author. 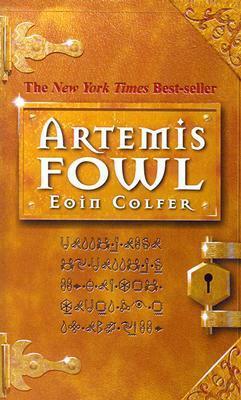 Artemis Fowl remains one of my favorite middle grade books, and I'm confident that I could read it now and still thoroughly enjoy it despite my advancing age. Colfer's take on Irish folklore depends heavily on wit, clever plotting, and deeply imagined characters. Artemis himself is a snarky, arrogant little bugger (also Irish! ), and exactly the kind of boy I'd have swooned over at thirteen. He's also the redeemable bad boy without being creepy and abusive, which is nice. The plot is full of twists, near misses, heists, and bait-and-switch. But what really makes this book is Colfer's tongue-in-cheek reimagining of Celtic lore. There's elf Holly Short, officer in the LEPrecon unit. There's Foaly the computer genius centaur. There are gnomes, goblins, and dwarves who can unhinge their jaws and digestively process dirt. It's not an incisive commentary on Irish lore here; it's just clever, funny, and fun. 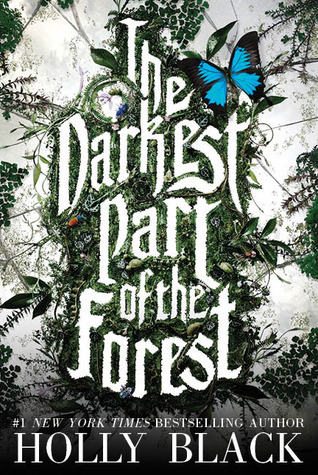 Unless you're skittish about fairies thinking that humans have polluted the Earth (apparently the "environmental propoganda" argument is a thing), you'll enjoy the whimsical otherwordly crime narrative and its knife-sharp protagonists. It's for children and preteens, so don't expect Shakespeare. Just sit back and enjoy the ride. Seriously: human-hating environmentalist propaganda. This has been mentioned in more than one review. Headdesk. What are your favorite books by Irish authors or about Irish themes? Wow. I've read two of these! I don't think I've read too many Irish authors before. At least not knowingly that I can name right now. But I have read Dorian Grey and Artemis Fowl. Enjoyed them both. Nice! I love both of those too. Obvi. I read a lot of Irish authors because many of my English teachers were obsessed with them. Although, I haven't read Joyce, which is somewhat of a sin.